While plenty of you were getting hammered in Irish pubs on March 17th, others were huddled around their TVs for Selection Sunday. During the show, it was revealed that Ohio State would be an 11-seed in the 2019 NCAA men’s basketball tournament, and will face off against No. 6 Iowa State in Tulsa, OK, on Friday, March 22. 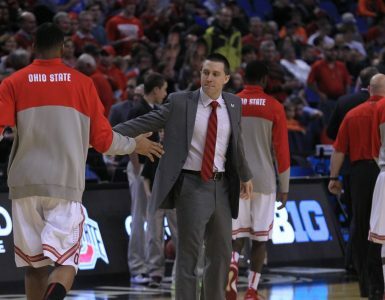 Heading into the Big Ten tournament, most people said that Ohio State would need at least one win to prove their worthiness for the Big Dance. They did just that with a first-round victory over Indiana before falling to Michigan State. Nonetheless, the selection committee ultimately deemed the Buckeyes as deserving enough to get in, and you can watch them take on the Cyclones on Friday.